Some clock work to keep in practice. 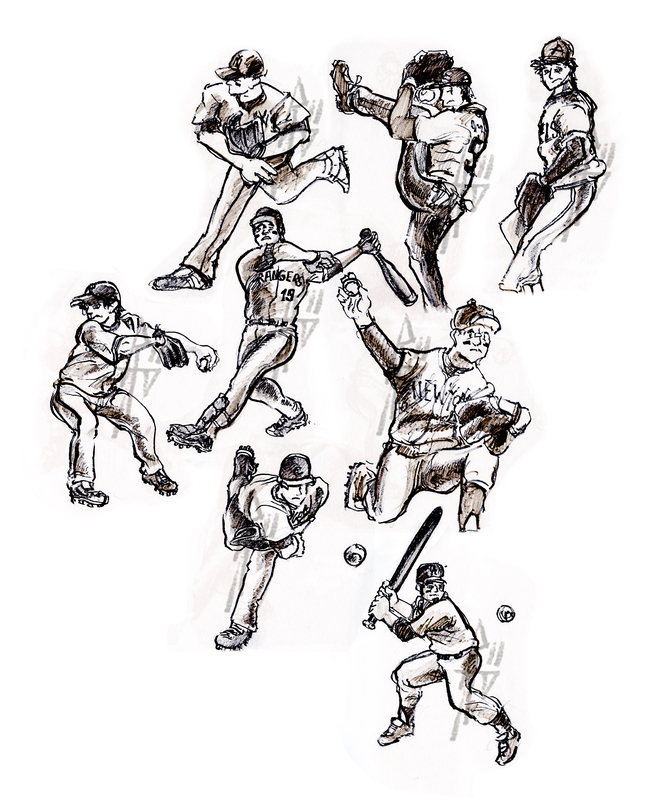 Possible client wanted me to work on baseball poses, primarily a pitcher’s extreme poses. I didn’t make a Clock-Sketch video for these, but rather just did them on my own. Enjoy. Click inverted image for real sketches! Trying out new theme sort of deal akin to a blackboard and chalk! This entry was posted on 05.19.2011 by Ryan M Paxton. It was filed under Artwork, Clock Sketch and was tagged with anatomy, concept art, drawing, figure drawing, gestures, marker, sketchbook, sketches.